Clinical depression symptoms cause a lot of misery. They make you believe you are weak and that you shouldn't tell anyone about them. These symptoms can be disabling and make it difficult to cope with life. Depression is a distressing illness. It finds ways to convince you that there is no hope and that you're powerless. Yet it is wrong. Therapy, medication and alternative treatments will empower you. You can live your life without the darkness of depression. 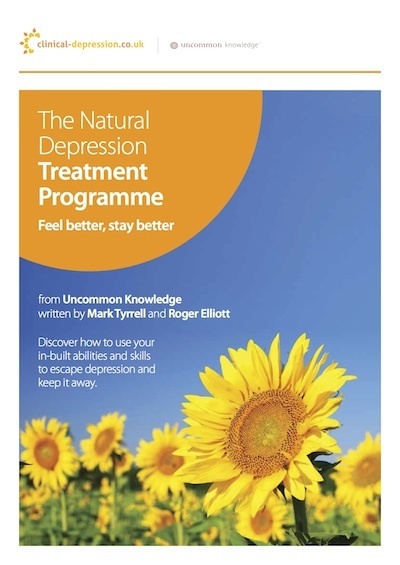 The Natural Depression Treatment Program is an effective approach that I use and recommend to clients. There's no charge for the first session. Try it and get immediate help to overcome depression. The information on this page is not intended to help you diagnose depression. Using Google or pages like this one to figure out what's wrong with you is like, well...going down a rabbit hole. It never ends. If you're battling with depression make an appointment with a psychiatrist, psychologist or your doctor. You can also speak to a licensed, professional therapist online. Clinical depression refers to a serious form of depression. It's also known as Major Depression, Severe Depression or Major Depressive Disorder. Severe depression is different to feeling moody, sad or down in the dumps. We all feel unhappy now and then but generally move out of the 'blues' in a short time. Severe depression is diagnosed if you have clinical depression symptoms and signs that won't go away. A number of symptoms of depression will be evident at the same time. These include sad moods as well as physical and emotional symptoms that make it hard to cope with life. Sad, empty, hopeless, depressed moods. Low interest or pleasure in activities. No desire to eat, or all you want to do is to eat all the time. Difficulty going to sleep or staying asleep. Waking up early and not being able to go back to sleep. Feeling tired and fatigued all the time. All you want to do is sleep. It feels impossible to get out of bed in the morning. Feeling restless or tense with a need to move. Agitated walking, movement, fidgeting and fast talking are examples. Slowed speech with longer pauses. Slow movements of body, hands, legs and head, slumped posture, poor eye contact. Thoughts about dying. Wishing you might not wake up or that everything will go away. Thoughts about dying in your sleep or in a car accident, or getting terminal cancer are examples. Thinking about suicide or a preoccupation with suicide. There may or may not be a specific plan for suicide. If this describes how you feel then make an appointment to meet a health professional. Then you'll get an accurate diagnosis and a treatment plan designed for you. If you relate to a few of these symptoms it doesn't mean you definitely have severe depression. Please don't diagnose yourself. A psychiatrist, psychologist or your GP can assess clinical depression symptoms. 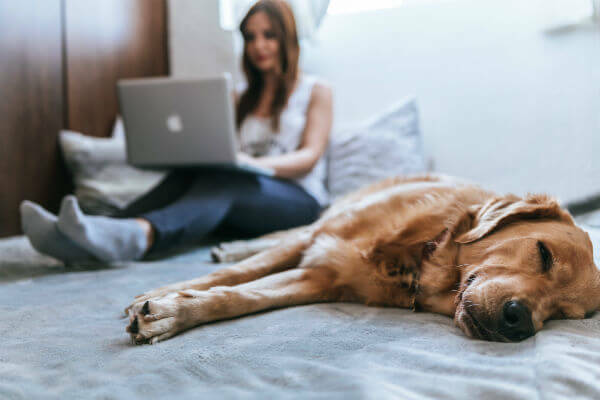 They can diagnose depression and help you work out a treatment plan. Depression can be treated. The clinical depression symptoms you experience can be reversed and you can look forward to a brighter future. It's important that you take the first step. Learn more about depression and access immediate help using the Natural Depression Treatment Program. It's the best of its kind I've used and recommend. You can start feeling better right now.